The new moon is the most magical time of the lunar cycle; a time to turn inward, and reflect on the season presently in the spotlight – the light of the sun – and this time it’s Gemini centre stage. We’re coming to the end of Gemini season. Mercury and Venus have raced ahead into the watery shores of Cancer, while Jupiter and Neptune are still enchanted with each other, aligned in water signs Scorpio and Pisces. However the sun and moon are in air sign Gemini, supported by Mars (in fellow air sign Aquarius), and Pluto, who lends a hand and a powerful touch from his ledge on Capricorn’s mountain. What’s more, the ruler of this new moon (Mercury) is in harmonious alignment with change bringer Uranus, who has just transitioned into a new sign for a seven year cycle. See Uranus in Taurus, and all the planet’s positions:– While some might not find any remarkable events around this new moon, it does mark a moment to reflect. Use your horoscope as inspiration, and read for your sun sign and rising sign, which you can discover here. It’s your chance to reset the agenda in close personal relationships, Aries, with a fresh start in ways of relating. Think of siblings, classmates and the ties you have to those near – even local connections, neighbors or immediate colleagues. Your social agenda is strong at this new moon and you might need to let go of some aspect of your network to allow fresh shoots to seed. Emotional sensitivity, your intuition and sense of intimacy is strong. There’s also an opportunity for a new beginning for skills you’re looking to build – especially those related to those around you – with this refreshed perspective. The new moon sparkles in the material pockets of your horoscope, Taurus, allowing your attention to reflect on your earnings, income, job role and purpose. Money matters but what’s important is that you’re stimulated to do something that puts you into a position of confidence and satisfaction. You might recently have had to realign your aspirations or ideas about who – or what – you could be in the world. Familiar ties, co-workers and playmates offer food for thought. You’re in an incredibly strong cycle socially, and in your personal relationships, so why not harness those around you to gain clarity on your rightful role. The new moon in your sign delivers a very personal fresh start – particularly for those Gemini born around June 14th. It’s not only about the space you own and occupy, and your physical body, it’s what you do with it, too. 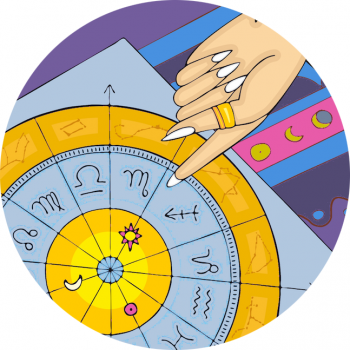 Think about resolutions for your sense of self, and extend that in practical terms, Gemini. This is your time to get a little bit selfish, and really reflect on self-care for number one. Prioritize you, and your goals for the six and eighteen months ahead. You can connect to greater transitions now and be incredibly effective in your intentions, wishes and manifest effectively in your occupation and role. What shifts, Cancer! Allow transition and transformation to occur deep within in you this new moon. It’s a powerful time for crabs, as this lunation brings to the surface closure and surrender. You might be feeling connected and engaged, full of enthusiasm and joie de vivre, however this moment is all about digging deeper, reflecting and allowing yourself space to process. This moment heralds a fresh start for you but it’s also urging you to release the things that just don’t work for you any more – people, places, things, habits and ways of thinking. Take this moment away from the crowd, seek a spot in solitude and quiet. The company you keep or your professional spheres benefit from the attention of this new moon, Leo. You’ve a window of retreat and transition ahead of you, and this lunation could represent an opportune moment to reach out into wider circles – or your social set – for ideas on how to achieve all you’d like. How do you intend to show up and make your mark in the world, Virgo? The new moon allows you to reflect on the pathways that are available to you, and to make the necessary connections that tether you to a greater community, company or tribe. You’re in an efficient and productive cycle, and yet it might be necessary to focus with extra vigilance around work matters. Watch your health at this time, as there maybe something about your everyday routine that is changing, and you’re inclined to take a period of escape in hand soon. Lovely Libra, you’re heading towards a destiny driven astrological moment on June 19th, but in the meantime you’ve opportunity to reflect on a journey or venture that’s recently been front of mind. The new moon glistens in your travel, education and philosophy zone, so take a moment to think about foreign connections or a project that’s seen you step outside usual parameters, and bring focus to how you intend to bring positivity to these endeavors in the future. You might have recently improved your outlook or spiritual ideals, why not journal on them or pause to examine them more closely? Stamina and enthusiasm is presently high, so take a fresh look at new perspectives. Your most private bonds and affairs are in focus, with the new moon refreshing commitments, or opening up options around shared spaces, contracts, property, legal entities or close personal relationships. It’s an ideal time to take a second glance at important matters, intimate exchanges, paperwork, or, to decide and reflect on what you want an ideal merger to feel like. A personal adventure is presently thriving, with activity around your direction in life soon to deliver. But first allow attention to settle around your private life, Scorpio. Take a relationship reset this new moon, Sagittarius, as partnerships of all kinds come on your radar and up for consideration. From very best friends, to an intimate business collaborator, teammate or marriage partner, it’s your time to pinpoint what you want to give and receive. There maybe some notions around close friendship or your connection to others that has very recently felt a shift; now absorb yourself in the intricacies of one-to-ones and manifest your dream team. There’s always room for improvement and space on the page to appreciate the qualities in others you adore, and are delighted to see more of. Realize a fresh start in everyday routines, Capricorn, as the new moon prompts you to embrace a different perspective around your role and ways of living. This could touch you in terms of health and looking after yourself routinely, or impact your inclination to accept help or support from colleagues. What’s good Aquarius? What makes you smile, laugh, feel playful? What amplifies your sense of enjoyment and helps you express yourself creatively? What makes our heart thump louder, your pulse race and your eyes all a flutter? Romantic notions – including your artistic capabilities – come to the fore with the new moon resetting the agenda in your zone of passion, drama and all you adore. Be it a special talent or a love you have for another, or your children, you can begin again truly in matters of the heart. Allow home and work to feature in your planning. The most important ritual to adhere to on this particular new moon is putting pen to paper, and actually writing down your goals for the 6 and 18 months ahead. In six months time it will be the full moon in Gemini, and in 18 months we’ll see another full moon that more closely matches this degree of Gemini. Remember that Gemini governs the fingers and thumbs, the hands, arms, lungs and nervous system. With a moment of refection needed, what better time to take 5 for a manicure? Trim your cuticles, letting go of all that doesn’t serve you. With the new moon in a sign governed by messenger Mercury, this a supremely good time to unwind, calm the nerves and embrace a moment of still. Gemini is the most mentally agile of the air signs, insatiably curious and dexterous, however with Mercury in emotional, sensitive sign Cancer it’s a good idea to slow down. Mercury will align with Uranus, a particularly invigorating – potentially jarring planet, so take a gentle pause. Discover the perfect practice, a yoga sequence for Gemini season in the new segment on Star Sign Style, with Yogastrology. Star light, star bright – you’ll see the stars on the new moon as lune is with the sun, and so the stars can sparkle hard. The moon in Gemini might be in its darkest hour but you needn’t dull your shine. Step into gentle sparkles as you look towards your cosmic potential. Heidi Klum, Kylie Minogue and Leelee Sobieski.